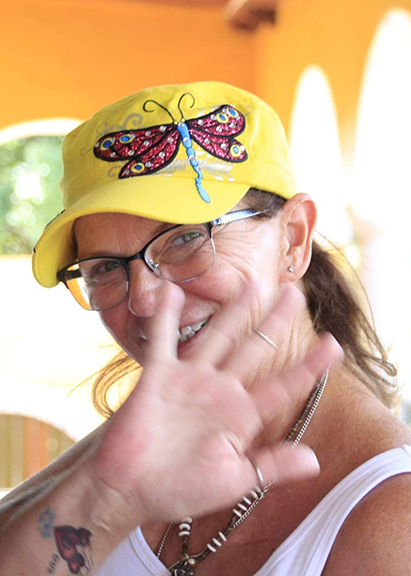 On the evening of January 8, 2019, our mermaid, Linda Joanne Dailey, took her last breath before going to join her husband and love of her life, Bobby Dailey, whom she missed dearly. She is survived by daughters, Rebecca and Georgina Hadley; grandchildren, Savannah Hadley and Blake Carman; sisters; brother; and sisters in-law; and many more that called her mom, grandchildren that knew her as Meme, and nieces, nephews, family and friends whom all loved her unconditionally. Our mom was an amazing, selfless woman who did anything and everything for everyone she cared for. Her smile could light up any room, and she never ran out of stories and memories from years past. She was the epitome of perfection in the eyes of her grandchildren and loved them so much. Everything she did was for everyone else first, before herself. There isn’t a person she met where she didn’t leave a lasting impression because of how beautiful her soul was. She will forever be loved and missed. For now a piece of our hearts is gone. Her memory will live on forever in the stories and memories of those that were blessed to know her. Taken from us too soon, but grateful to know she is now in the arms of her true love.